Microsoft releases a new Windows 10 preview build, Apple lets you remove pre-installed apps, Twitter launches a Periscope Live button, Pokémon Go release date announced, and Van Gogh painted on dark water. Microsoft have released Windows 10 Insider Preview Build 14366 for PC and Windows 10 Mobile Insider Preview Build 14364 to Windows Insiders. 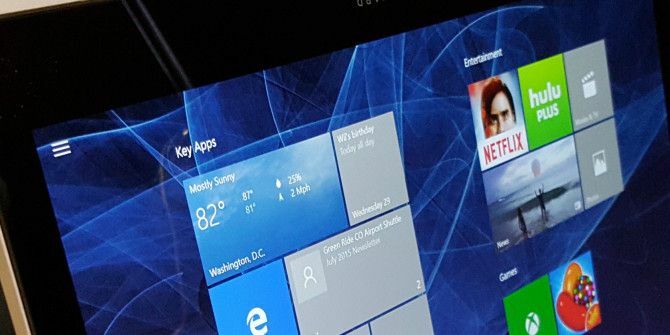 This is in preparation for the Windows 10 Anniversary Update due this Summer, as Microsoft wants the Windows Insiders to give as much feedback as possible before that release. Also announced with the preview build was a number of exciting new tools, such as the Office Online extension for Microsoft Edge, which lets you use Word, OneNote, Powerpoint, Excel and Sway Online without needing to have Office installed. An update to the Windows Store app has also been released, which will be more stable and less resource-hungry. With the Preview Build, Microsoft are officially kicking off the Windows 10 Anniversary Update June Bug Bash. Multiple Quests will be published inside the Feedback Hub that will highlight different areas of the product each day. In the upcoming iOS 10 Apple Announces iOS 10, Sony PlayStation VR Due Imminently... [Tech News Digest] Apple Announces iOS 10, Sony PlayStation VR Due Imminently... [Tech News Digest] Read More , Apple will finally let you remove most of those pre-installed applications from your iPhone and iPad. Sort of. Technically speaking, the apps are not deleted as the binaries remain on your system, but all of your user data is deleted and you no longer have to find a place to hide the applications on your home screen. Apple's Federighi clarifies that you're not actually deleting default apps when you delete them. Just removing hooks, user data etc. A few iOS apps are still mandatory, like the App Store, Camera, Activity, Wallet, Find iPhone, Health, Messages, Phone, Safari and Settings. However, Apple reminds you that these apps do not take up much space. Still, this means we can finally remove the “Apple Crap” folder from our home screens. Twitter is making it even easier for users to get going on its video app, Periscope. Within the Twitter app itself on Android or iOS, you’ll now see a “Live” video button. When you click that it will immediately let you broadcast on Periscope. If you don’t have Periscope on your phone, this will first prompt a download. But from then on, you’ve got easy access to Periscope from within Twitter. Head of business operations at Pinterest, Alex Khoshnevissan, also announced that Periscope embeds will be available in the coming weeks, and that they will function in much the same way as Twitter embeds. Twitter clearly wants to introduce a new audience to Periscope and to livestreaming of video. Perhaps it will even inspire Periscope lurkers to start scoping 10 Reasons You Should Be Using Periscope Now 10 Reasons You Should Be Using Periscope Now With so many different social networks, it's difficult to know where to put your energy. But there are plenty of great reasons why you should give Periscope a go. Here are a few. Read More . Pokémon Go is bringing Pokémon 8 Ways to Celebrate Pokemon's 20th Anniversary 8 Ways to Celebrate Pokemon's 20th Anniversary This year, on 27th February, Pokémon celebrates its 20th anniversary. Here's how to celebrate in style! Read More to augmented reality — and it’ll be released in July! Nintendo have made this announcement at the E3 2016 E3 2016: Why Nintendo Might Still Impress Us All E3 2016: Why Nintendo Might Still Impress Us All E3 2016 is right around the corner and we haven't heard much from Nintendo. Here are four things Nintendo might do to make a big impression at the show. Read More conference. The Android and iOS apps will buzz if there’s a Pokémon nearby to catch, and when you look at your phone you’ll see them as a layer over the real world. To get the Pokémon, you will need to swipe a Pokéball at them. Hatching eggs is related to walking distance, and you’ll see how far you need to walk before each egg hatches. But you’ll have to buy an incubator first. Meanwhile, you’ll need to catch more of each type of Pokémon in order to evolve them. Developers assure users that all Pokémon will be located in places people can actually go, and that aren’t dangerous, like on roads. In fact, the game will use the same location data as Ingress, so the same culturally interesting places are likely to also be Poke-Stops. So, keep your eyes open at statues, monuments and more. The Pokémon Go Plus wearable will also be released next month, and this will allow you to catch the Pokémon without using your smart phone. The device will light up when you pass something catchable, with different colors for creatures or consumables. You click the light to catch the item and later check your phone to see what it was. And finally, if you didn’t already know how talented the masters of marbling are, you’re in for a treat. Garip Ay will show you just how easy incredible it is to recreate Van Gogh’s Starry, Starry Night in oil paint on dark water. And then there’s an extra treat for you at the end.